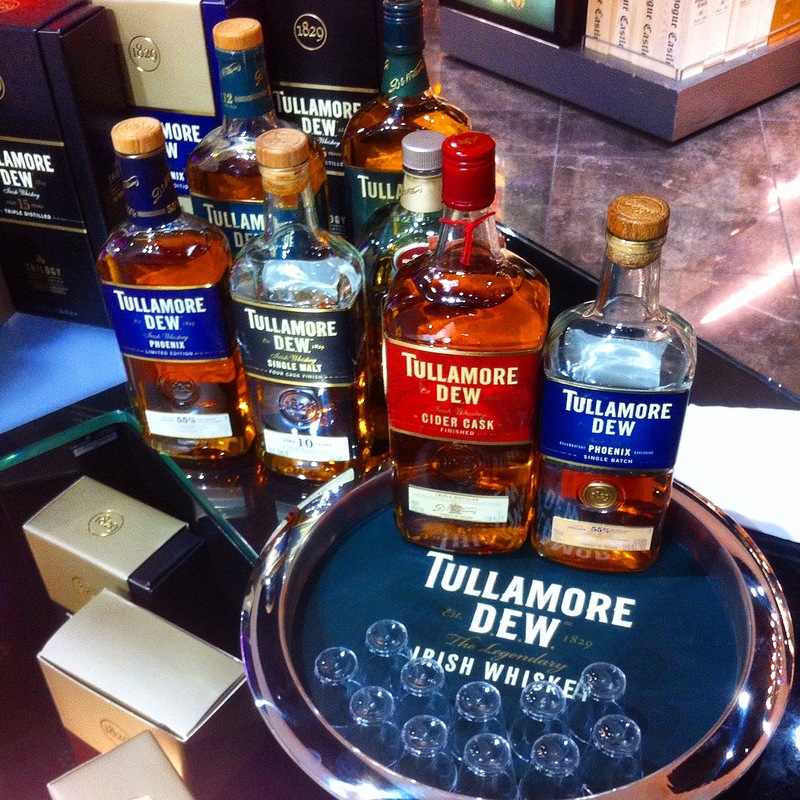 Most of you reading this know the liquid gold that is Tullamore D.E.W! The Triple Distilled, Tripled Blended & Triple Barrelled Irish Whiskey that has become a power house in the Irish Whiskey category. With sensational growth since it’s aquisition by William Grant & Sons, the brand has hit milestone after milestone; releasing the first ever whiskey to be finished in Cider Casks to their oldest release to date, Trilogy, a 15 Year Old Whiskey finished in Rum Casks. 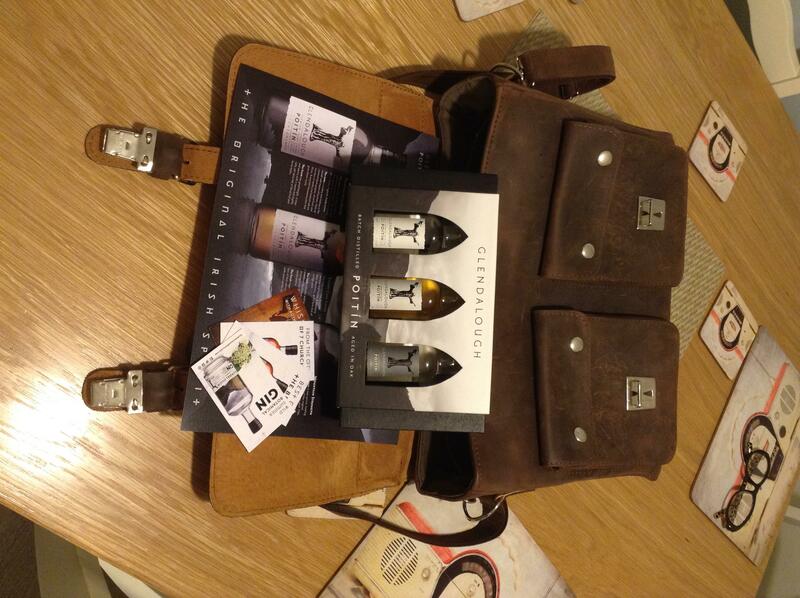 Part of the success of Tullamore D.E.W can be attributed to the team of Brand Ambassadors they hire. As of this year the company has the biggest group of Brand Ambassadors for any Irish Whiskey in the US Market. And we thought it’s time you get to know us! One of the most influencial people in the development of the Irish Whiskey Industry, John Quinn has been a driving force behind Tullamore D.E.W since 2011. Travelling the world, teaching the Word of D.E.W like a modern day messiah, John Quinn is one of the best known ambassadors in the industry, not only for his knowledge of the entire whiskey category but also for his epic story telling. Hailing from the biggest, and only, egg farm in Clogherhead, Tim has been running the U.S Market for 4 years. Voted 2016’s Irish Icon of Whiskey, Tim has had renowned success across the United States. Famous for his repertoire of Toasts and seminars such as Five Cocktails That Changed Irish Whiskey Forever, he has paved the way for Whiskey Ambassadors and raised the bar for future BA’s. Jane was part of the first group of Tullamore D.E.W Brand Ambassadors back in 2013 when Tullamore started the growth within the U.S Market. Jane was offered the opportunity to be Tullamore D.E.W’s first ever Distillery Ambassador when it opened in September 2014. After a very successful year within Ireland & the U.K, now Jane is sharing drinks with the stars in California and taking blurry photos of Robbie Keane. A French and Politics graduate who recently completed her Masters in Management and Marketing. In 2013, she followed her life long dream and moved to Paris where she worked for Marc Jacobs in Paris’ largest luxury department store. Throughout college Emma has worked in various jobs that include bar, restaurant, retail and also experiential marketing campaigns. As part of her Masters she interned in the Lifestyle Division of Wilson Hartnell PR, part of the Ogilvy & Mather group. Emma loves to travel, is a total foodie who loves to experiment in the kitchen and is looking to bring her passion for Irish products, sense of adventure and creative flair to the Tullamore DEW team. 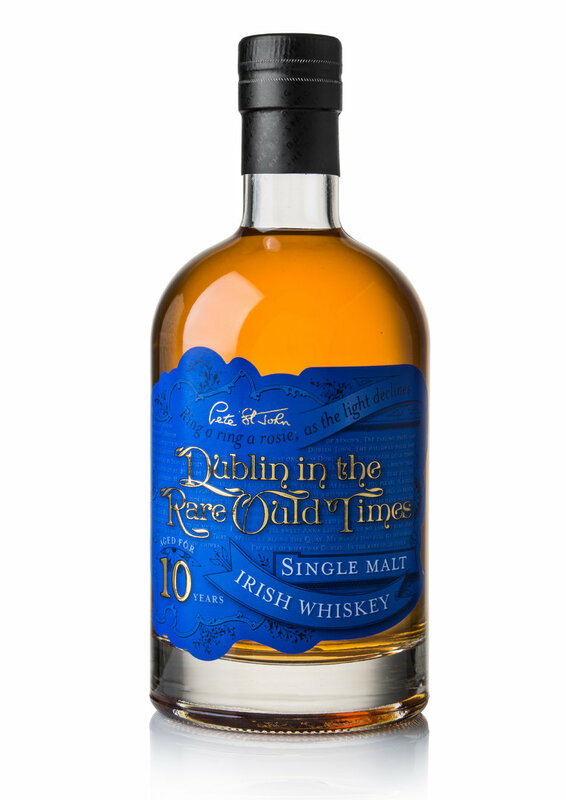 Hailing from Cork (the real capital of Ireland!). Gillian just finished her final year at university where she studied Commerce with Hispanic studies. Last year, Gillian studied and worked in the Basque country, Spain, where she made best friends with Mila Kunis and Channing Tatum (well… by best friends I mean that I saw them from a distance while they were filming). Gillian has worked as a brand ambassador for two local radio stations, Cork’s 96FM and C103, and as a drinks and club promoter. Gillian enjoys socializing, spending time with friends, and running, Gillian recently took part in the Madrid mini-marathon. A Dublin girl with an Irish country girl heart. Her academic studies have allowed her to explore her love for the food and beverage industry which she now possesses a strong passion for. She has travelled extensively throughout America, Europe and Southeast Asia, where she has developed her drive for adventure. In her free time she likes to be outdoors and hanging out with friends. Ailish’s new home is the mile high city of Denver, where she loves to share her passion for Irish whiskey and everything Irish. Niall is an extremely outgoing person who loves interacting with friends and meeting new people. Dingle, his home town, is a place which he holds very close to his heart. Breaking out of Drogheda, County Louth and a graduate of Business in Event Management. I have never been one to shy away from a challenge or adventure, having spent time in Portland, Oregon and 6 months in Beijing, China. I have worked in the Food and Beverage industry for over 4 years, starting as a waiter but working internationally in hotels in Beijing, cocktails bars and nightclubs in Ireland and had the honour to represent Tullamore DEW as the Ambassador at Dublin Airport. With a passion for all things Irish whiskey and is the proud owner and rare blogger of this domain, DramAssociate.com. A girl with a big heart and small head, Caroline is a UCC Commerce graduate with a passion for food, marketing and people. In 2013 she studied abroad at Pace University in New York City where is fell in love with the cities energy, night life and sushi! Since returning home to Cork she has found it hard to stay still but has managed to keep herself on her toes by completing Tour De Picnic and the Cork City Half Marathon. This past summer she decided to follow her heart and tick a major milestone off her bucket list by fundraising €2500 and flying to India where she spent 6 weeks volunteering as an English teacher in local primary schools. Caroline has just completed an internship at Ballymaloe Foods where she acted as an assistant brand manager. On the 22nd of January Caroline will be flying to Milwaukee Wisconsin where she looks forward to bringing her international experience, positive energy and passion for the industry to the Tullamore Dew Team. Drogheda born and raised, graduated with a degree in Business & Event Management from Dundalk Insititute of Technology. He has worked in the Food & Beverage industry for 3 years in both Drogheda & Shanghai. Spending the majority of 2015 working for GSMA Telecommunications Company based in London where he rubbed shoulders with the likes of will.i.am & Mark Zuckerberg at the Mobile World Congress. Passionate about the Alcohol Industry Stuart attended the Dublin Bar Academy to extend his knowledge of all things alcohol related. His interests are mixing cocktails, rugby & waterpolo. A Dublin lad who has recently graduated with BA Honours Degree in Marketing and Event Management. Andrew has worked in the events industry for a number of years and has also worked in the hospitality industry for over 6 years both in Ireland and the US. His main passion is sport, mainly Gaelic and Hurling. Andrew has played to a very high standard and has even represented Dublin in Gaelic. A qualified personal trainer and loves keeping fit. Loves to travel and spent a lot of time travelling around both Europe and the United States. A recent marketing graduate from Smurfit Business School, with a passion for the food and drinks industry. Last summer she got to combine these two interests by working as a marketing intern for a start-up food company in New York. Having grown up by the sea, Jen has developed a keen interest in sailing from a young age. With this, she spent the majority of her summers teaching sailing to others. Passionate to travel and experience new cities. Over the years, she has gotten the chance to live briefly in New York, Montreal, and Spain. And now prepares to take over Austin. A man about Swords, Ian graduated from Dublin City University with a BA Honours degree in Business Studies. Recently returned home from Charleston, South Carolina having completed a DCU/Bennett Hospitality scholarship which gave him the opportunity to spend the summer working alongside and learning from some of Hilton’s most senior executives. Having the opportunity to work in the hospitality industry only increased his passion for the food and drink sector. GAA enthusiast, in particular hurling, in which he has represented Dublin at underage level and is currently part of the Fingal senior hurling team. Interested in travel having been to various cities across Europe and the United States. Has also previously spent a summer living in San Francisco.